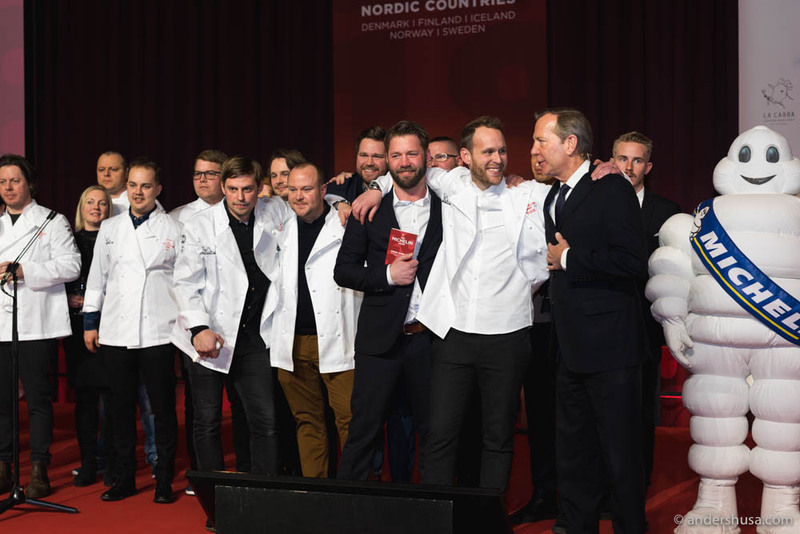 There are great expectations, as always, before the launch of the new Michelin Guide Nordic Countries 2018. I’ve made my predictions this year, mainly based on my own opinions, but also some industry rumors. From 4 PM today, on February 19th, I am present in Copenhagen at the City Town Hall for the ceremony. Live updates with the new stars will be posted here. Restaurant Barr in Copenhagen has had three Michelin inspectors visiting, according to chef Thorsten Schmidt. 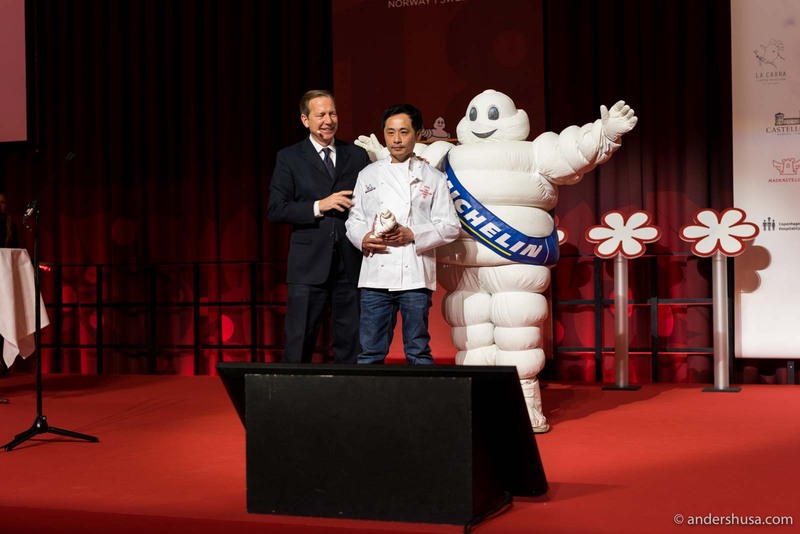 Sounds like the Noma-family might have done it again … Update: It was only a Michelin plate this time. 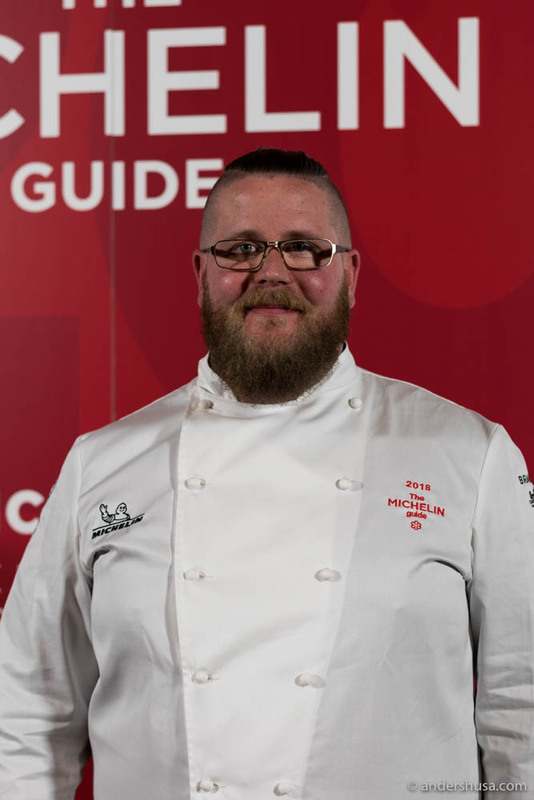 Apparently, Bjørn Svensson from restaurant Galt in Oslo is on his way to Copenhagen. That should be a safe sign for a star coming his way yet another time (he has previously held one star at both restaurant Oscarsgate and restaurant Fauna). Update: He did! Restaurant Jordnær outside Copenhagen is present at the event. Probably means one star. Update: Yup! Restaurant Memu in Vejle is present at the event. 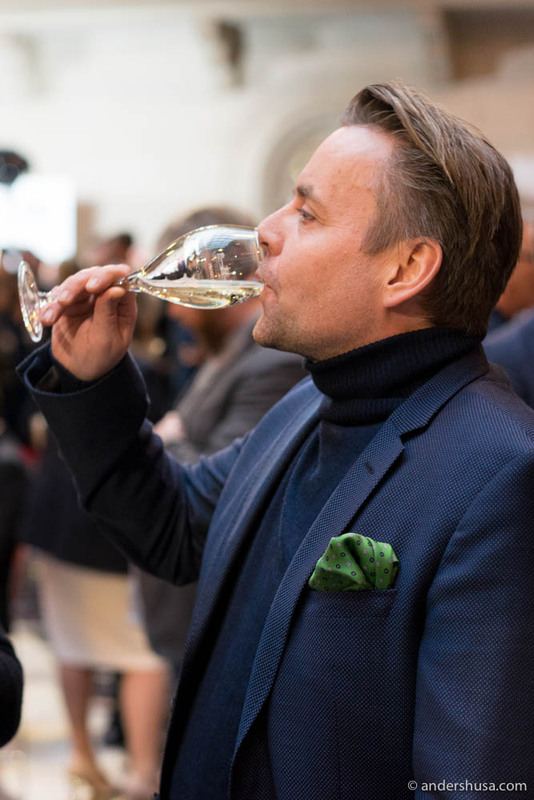 Previously predicted to get a star by the Danish food blogger Rasmus Palsgård. Update: This was a red herring. All the winners on stage. 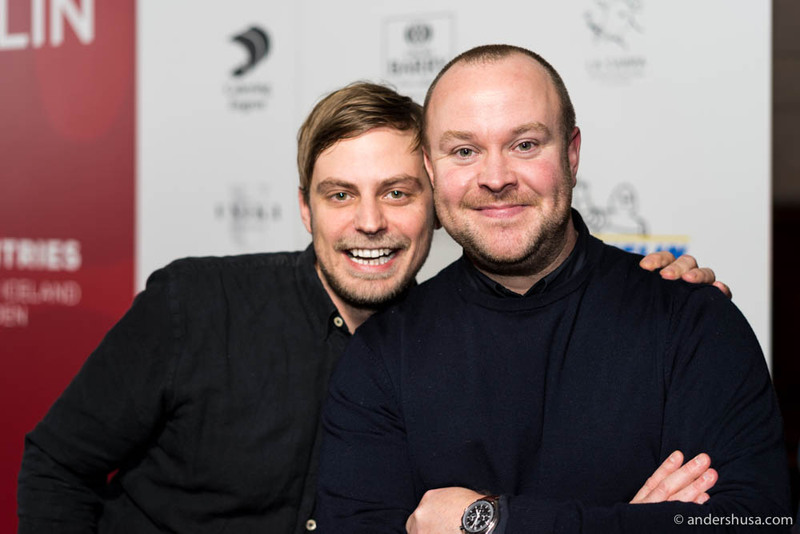 The broadest smile was on Björn Frantzén and his restaurant manager Carl Frosterud. Nicolai Nørregaard and Daniel Berlin smiling – and this is before they know about their second stars! 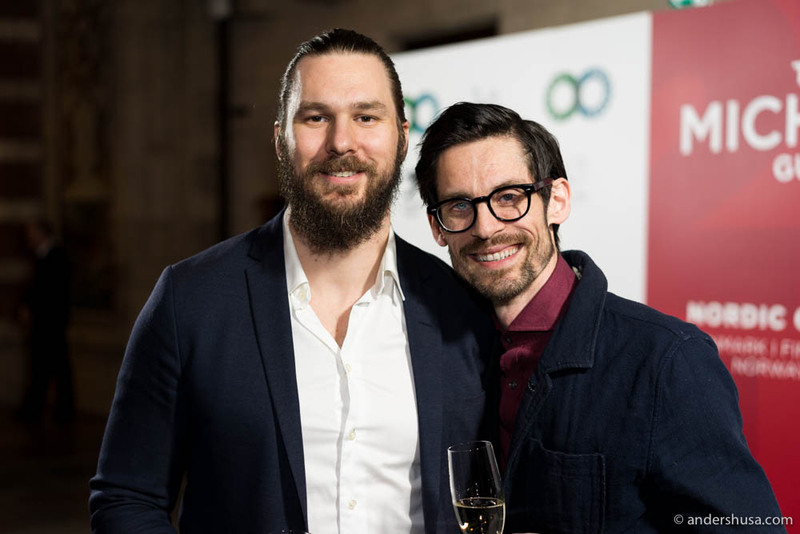 Restaurant ORA was not announced as a new star at the award, despite the fact that chef Sasu Laukkonen closed his old one-Michelin starred restaurant Chef & Sommelier, and re-opened with a new name and concept. vært på galt. Hadde kanskje sett for meg en bib om det skulle komme noe. Ora in Helsinki got a star as well, it seems. I guess they did not bother to mention that in the program as the Chef & Sommelier also had a star. I saw that. Guess they must have seen it merely as a name change. As far as I understood, it was a bit more. Please say that you will make a video from visit to Frantzén…….? Still waiting for that one….